1: Bring a large pot of water to a boil. Carefully lower eggs into boiling water and stir gently for the first 2 minutes of boiling to distribute yolks to the center of the egg. Boil eggs for exactly 7 minutes. 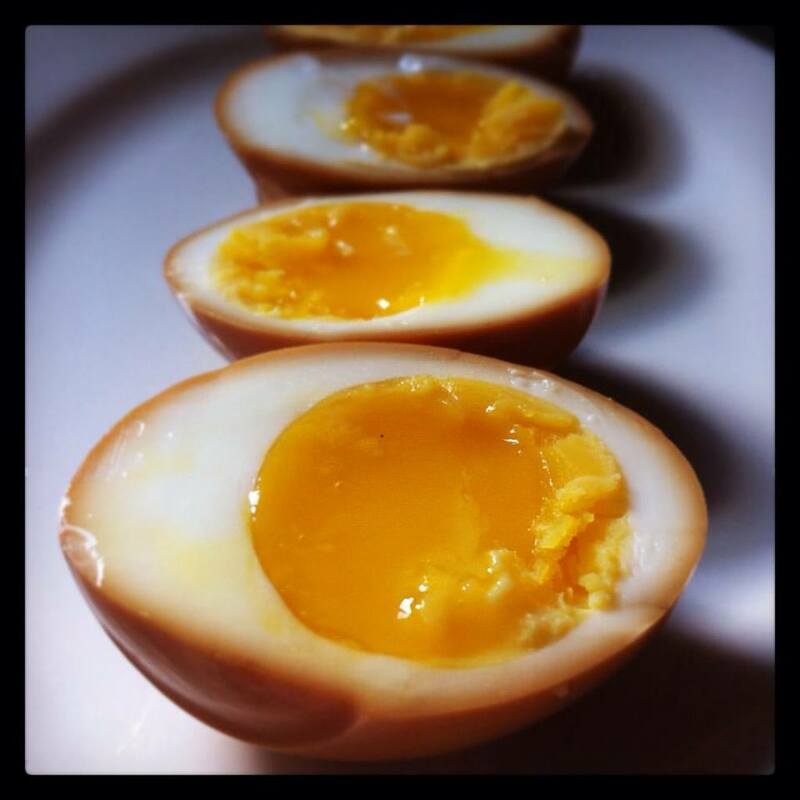 2: Once eggs are done boiling, transfer to an ice bath and allow to cool to a comfortable handling temperature. 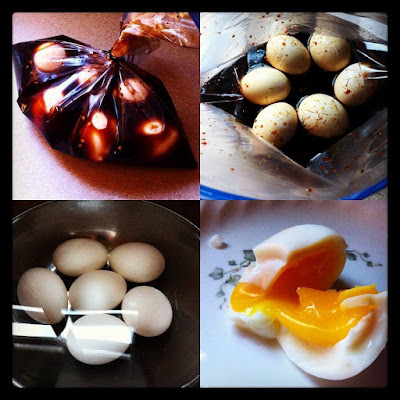 3: While eggs are cooling prepare marinade in a large ziplock bag or container that has a tight fitting cover by combining soy sauce, mirin, ginger, garlic and minced chili peppers. 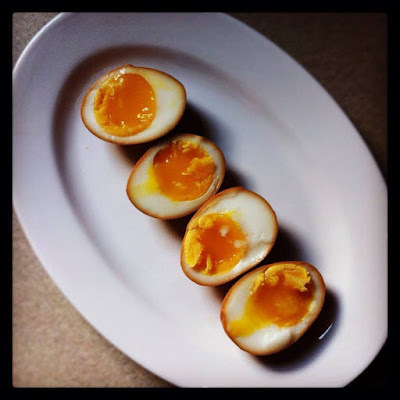 4: When eggs are cool enough to handle, peel them and add the whole eggs to the marinade. Be sure the eggs are submerged completely. Seal container. 5: Place in refrigerator for at least 2 hours but for as long as 8 hours. The longer the eggs stay in the marinade, the deeper color and flavor they will have. 6: Remove from marinade. The eggs can be kept in the refrigerator for as long as 3 weeks, in a tightly sealed container. 7: Cut in half and serve. Eat cold or room temperature.